Social media isn't as complicated as you might think. It's an easy way to reach out to your followers, family and friends. If you're a beginner it can seem like a really difficult thing to get used to, especially if you're not a regular internet user. Knowing where to start and which social media platform to use is the first hurdle. A lot of this can be trial and error, because you may not feel comfortable with every platform you use. If you're using social media alongside your blog, you may discover some platforms are more suited to your genre. 1. What Do You Want From Social Media? So what is it you really want to gain from social media? I would try out a few different platforms first to see what kind of results you get back, before going full-on. 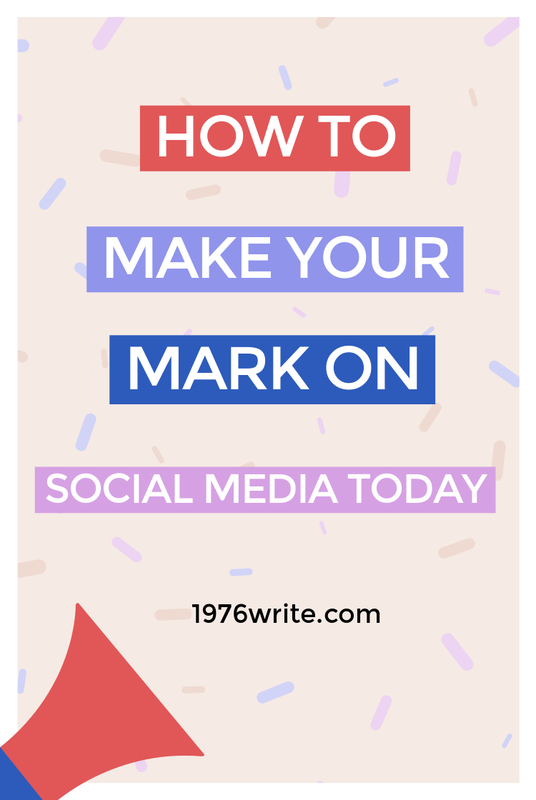 After you've chosen your social media platform, you need to create a profile. If you have a blog, make sure your logos are carried through all of your platforms, and everything looks the same. This shows clear uniformity, and shows that mean business. How you present yourself is important, this will be how your followers will see you online. It will also determine if people want to look into your work further. What Information Should I Pass on to My Followers? Choose a profile picture of yourself or your business. Don't use a default avatar, these aren't taken very seriously. The name that your community will know you by. 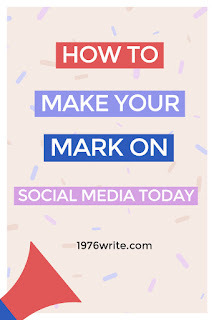 My Twitter profile is @1976write and so is my Pinterest profile. Try looking at websites in the same genre as you. There's no harm in getting new ideas that way. The perfect place to include your website links. 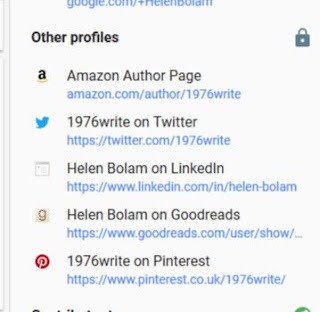 If you use Google+ you can include your Amazon author page and any other useful links you may have. Start looking at other people's profiles and discover what they have to offer. Remember social media is a powerful tool these days. Like most things in life, it takes time to build your community, but the time is outweighed by the benefits of what you gain from the journey. Something I've learnt over time on Twitter is not to sell, sell, sell. It's an easy trap to fall into, because everyone else is doing it. But it won't help your profile or the products you're trying to sell. That simply means you should be retweeting 80% of other people's content, website and blogs. The other 20% is your own self-promotion. My routine is posting three or four of my own links, and retweeting about twenty to twenty five from my Twitter followers. If you're unsure which platform to use, start with Twitter. Try it and see if its a good fit for your business or blog. I went down the route of Twitter and Facebook, discovered that Facebook wasn't the platform I needed and put my time and energy into Twitter. Make sure which ever platform you choose to direct your followers to your blog landing page or squeeze page. If you have a newsletter even better. Facebook isn't just about getting in touch with old friends, it also allows you to set up your own author, organisation or business page. Only use Facebook if you're going to keep your page up-to-date. Ask other people to promote you every once in a while. I use Twitter, Pinterest and Google+ to promote my content. Social media is all about quality and timing, try using the helpful route instead of the "I'm an expert in my field". There are too many experts on social media.